I'll be having dinner later on this evening, but I'm not sure when. We're planning to get together with friends. 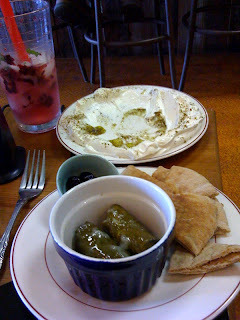 I'm having the Middle Eastern Plate and Raspberry Fizz as an appetizer until then.